Buy this course as part of the 3 course Zebra bundle and save money! 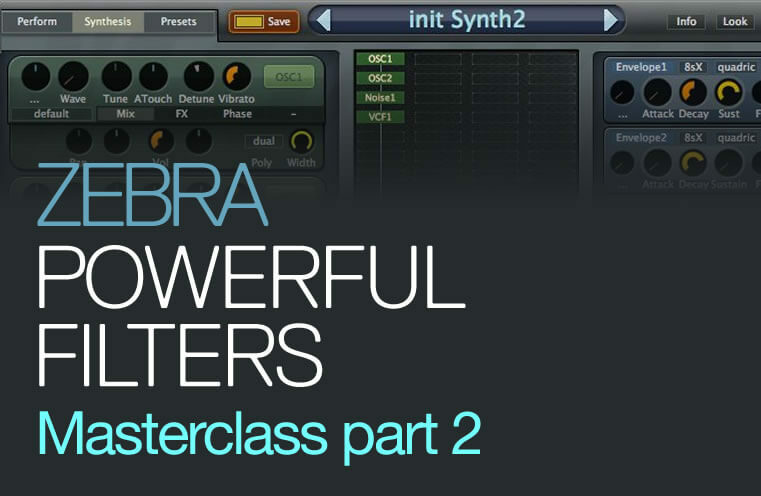 ‘Zebra – Filters Masterclass‘ takes the guesswork out of producing with Zebra, putting you in total control of one of the world’s most powerful and flexible synths. These in-depth videos start out at the very start (with the beginner in mind) right through to the advanced features such as filter feedback, advanced modulation, FM filters and much more! 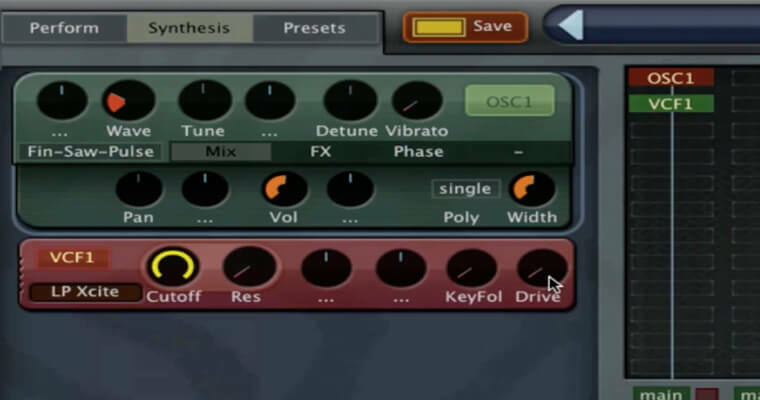 This course includes 15 videos totalling over 200 minutes of in-depth instruction whether you are a beginner or you already know your ways around a synth, with this course you will end up with an advanced, practical understanding of all the different filters and an expert know-how on filter theory. 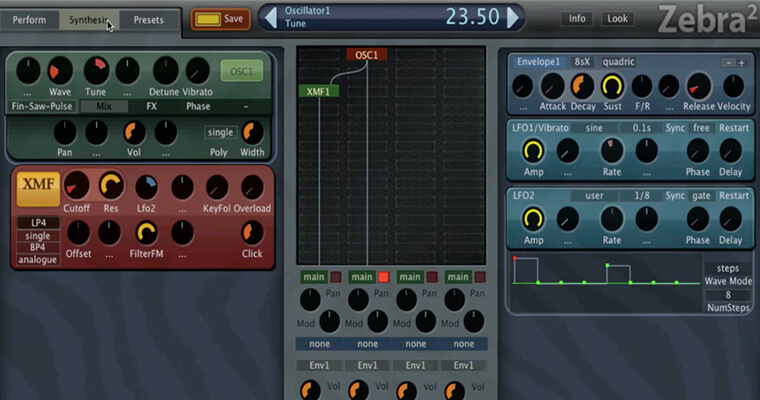 You’ll also learn how to use the filters on a creative level which will help take your tracks to another level! The first videos are pretty basic, explaining filter terms and standard low and high-­pass filters, although you probably know all about this, I’m certain that you will still learn a few new concepts here. 2.2 Filter Basics, I explain the basics of filters, cutoff, resonance, key-follow etc. 2.3 Low And High-pass Filters, learn what low and high-pass filters do, and the best ways of using them. 2.5 Special Filters & The Decimator, Here you will learn about some of the special filters in Zebra, ever looked into the decimator for example? 2.6 Filter Feedback, The awesome power of filter feedback will be explained, you’ll understand how it works and which filters to use. The second half of this course goes even further, here we start to look at the comb filters in Zebra. These filters use feedback to generate the decay of a sound, pretty amazing by itself, but Zebra’s Comb filter takes this concept to a whole new level. It uses several different filter types inside the comb module and adds a crazy amount of control to each of them. You can create beautiful guitar sounds, advanced pads or huge bass patches. After we master this we take a look at filter chains, the EQ, and the great X&Y pads. 2.10 Comb Filter 2, Learn about all the comb filter types, Dif. Comb, Dissonant, Split Comb, Blown, etc.) and learn some cool tricks. 2.13 X&Y Pads For Filter Modulation, Combine the mighty powerful X&Y pads with filter modulation, great stuff! Thanks for your interest in this course, I really hope it will be of great use to you! Getting to know a synthesiser can be hard work sometimes, but with a little help you can grow really fast in your understanding of sound­ design. Filters really make the sound of any synthesiser come to life, so its always a ‘thing’ for me to check them out when I got a new Synth. Zebra’s filters are really impressive and very versatile, you have all the filters you can dream of and even some filters that go beyond the regular filter concepts. It blew me away when I first started to experiment with them! Besides teaching you the basics and the more advanced stuff I also want to share ideas and creative approaches to synthesis and sound­ design, that is why this course is overflowing with practical examples and little tricks to make life easier or just more awesome. The most important advice I can give you is, you guessed it, practice! But also don’t be afraid to go a bit crazy, the greatest sounds come from experimenting! p.s. This course is part 2 a 3-part series that I’m making in collaboration with ADSR. In the other two we’ll go on to talk about all the additional modules as well as modulation in Zebra.